Even after his retirement in 2015 as professor of physical education, Ken Weatherman still climbs the 4,000-foot elevation of Appalachian Ski Mountain in Blowing Rock, North Carolina, for the annual ski and snowboard trip started decades ago at Georgia Highlands College. This is the trip’s 40th consecutive year – and Ken’s, too. The trip gives students a way to earn academic credit in the physical education category, while learning skills Ken says stick with you for a lifetime. Ken explained the trip kicks off with three two-hour workshops during December each year. Students take an exam based on the workshop and required textbook readings. Additionally, students take exams on the trip and must go through a skills evaluation after some training and practice on the slopes. While on the trip, students are given lessons from experts at the French Swiss Ski College. Ken explained that the benefits – other than obtaining a lifelong skill – are the affordable cost (due to group rates) and an accelerated spring course, which gives students a chance to earn credit for PHED 1420 within a few weeks between workshops, the trip and training with the French Swiss Ski College. The trip includes multiple sessions with instruction from professionals, equipment and stay. The trip is also available to non-credit participants on a continuing education basis. The deadline to register is December 4th. 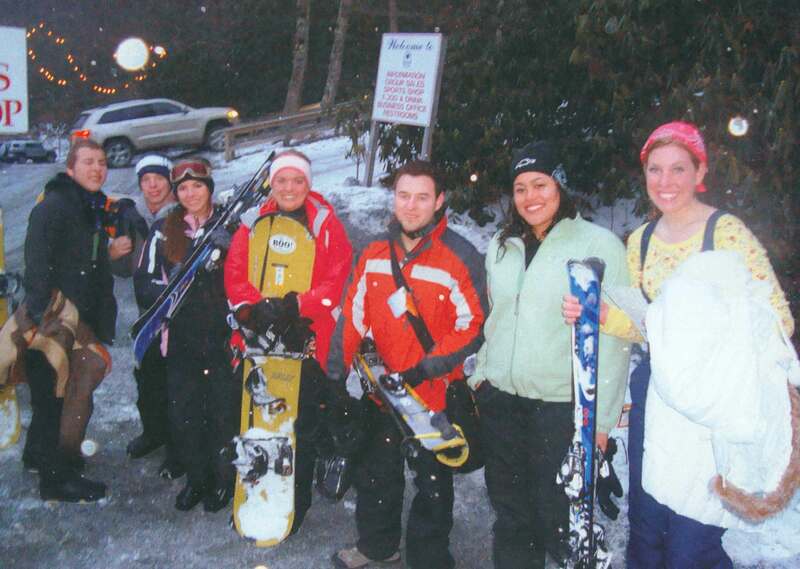 PICTURE: A group picture of GHC students at Appalachian Ski Mountain in Blowing Rock, North Carolina, from one of the trips over the past 40 years.